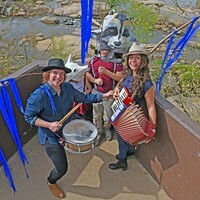 Gilded Age Revival | Cover Story | Style Weekly - Richmond, VA local news, arts, and events. “We don’t put things behind Plexiglas,” says Dale Wheary, who retired earlier this year after 40 years as Maymont’s curator and director of historical collections. I've yet to see director Jordan Peele's new shocker, "Us." Heck, I still have the willies from "House on Haunted Hill," a 1959 film starring Vincent Price. Eight years old at the time, I even thought the placard in the theater lobby was creepy. It showed a human skeleton, dangling from the wraparound porch of a decrepit, gothic mansion. Afterwards, I assumed every community had an aged house of drear on a hill. Richmond certainly did. It was Maymont. I know, where's the hill, don't most folks approach our town's Gilded Age mansion with a wraparound porch via a straight, asphalt road from the Hampton Street parking lot? 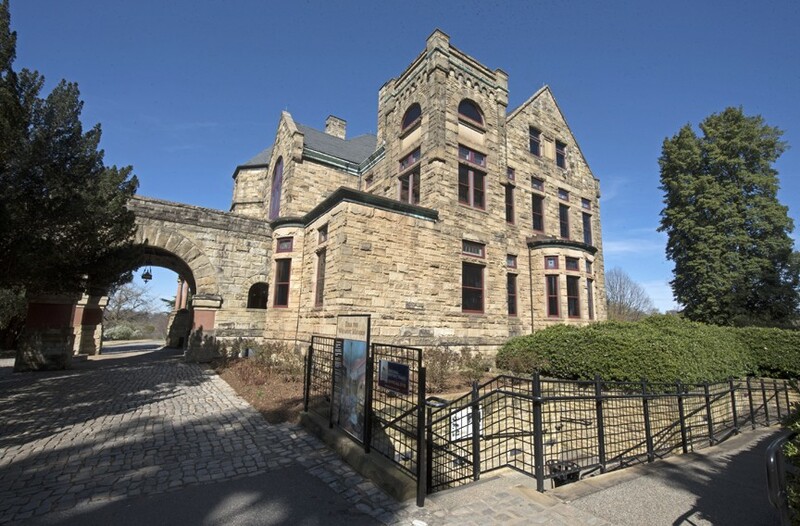 But don't question that a steep hill exists at Maymont to this former-8-year-old, who often darted out of the Japanese gardens near the canal, trudged up the Italianate steps that zigzag to a sprawling lawn, and came face-to-face with the looming, 33-room house. In 1959, Maymont mansion, the showy residence that railroad and developer tycoon James Dooley and his wife, Sallie May Dooley, built in 1893, was hardly the pristine and enticing showplace, the beloved pride, and one of the most-visited Richmond attractions, 40,000 folks annually, that it is today. Maymont mansion, designed by Edgerton Rogers and built in the 1890s, is one of the region’s top historical attractions. Truth to tell, I've never heard of a ghost sighting in the house that was occupied until Sallie Dooley's death in 1925. But soon thereafter, the mansion and its surrounding 100 rolling acres of specimen trees and intricate gardens were bequeathed to Richmond. For the next 45 years, the Parks and Recreation Department maintained the once-lavish estate as a glorified city park, maintaining it as best it could, but with a limited understanding of its needs, or the inherent potential of the local treasure. Big, left-over houses from the late 19th and early 20th centuries were out of vogue 60 years ago. Many aging Monument and Chamberlayne avenue homes had become rooming houses. Much of architecturally significant Jackson Ward was being demolished for interstate highways. In 1959 modernism, and all its minimalist glory, was the rage. "House on Haunted Hill" may have been box office gold, but the spiraling Guggenheim Museum and soaring Seagram Building were also completed in New York that year. And in Richmond, the Reynolds Metals Co. was settling into its sleekly modern corporate headquarters building on West Broad Street, while just east the Jetson-era Willow Lawn shopping center was flourishing. By the 1950s the Maymont mansion wasn't just musty, it looked and felt creepy. There were frayed curtains hanging by threads from bent rods. Carpets were worn-through. Furniture was spare and lighting was optional. As for heat and cooling, there were neither. For security, occasionally a park official or volunteer would shuffle through to check on things. In 1970 a Richmond Times-Dispatch headline unceremoniously branded the mansion "The City's Albatross." Soon afterwards, $18,000 in repairs was forthcoming— removing lead pipes and refinishing woodwork. Interior cleaning and painting were undertaken by various volunteers, some Virginia Commonwealth University students, and a few professional designers from the Virginia Museum of Fine Arts. But no conservation of the house or its contents was attempted. The richly detailed library contains an eclectic collection of books and decorative arts from the Gilded Age. It didn't help that in the early 1970s interest in Victorian and the Edwardian eras remained at low ebb here. Fan District townhouses were being stripped of decorative detailing and elaborate front porches. And Richmond came within a whisker of losing two grand landmarks, Old City Hall and the Broad Street Station, to the wrecking ball. It took a preservation-minded developer from Georgia to save the former, while plans to erect a modern Science Museum of Virginia in Byrd Park were eventually scrapped and the railroad terminal was re-purposed. At Maymont by 1975, the status quo was no longer an option. 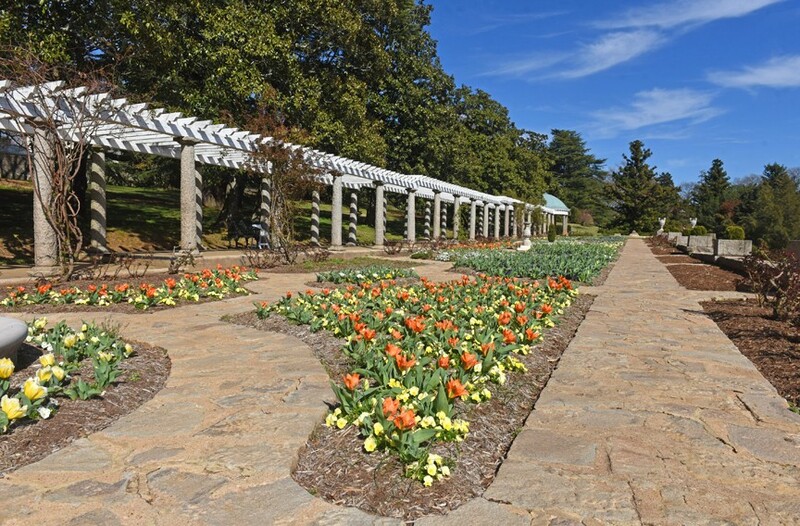 That year the Maymont Foundation, a not-for-profit organization led by a blue ribbon group of civic leaders, embarked on the challenge of managing the park, its programs and mansion. It began to raise funds and develop a master plan. None of this was simple. And although the foundation hired a curator for the reopened mansion, the position became a revolving door with four people holding the position in as many years. Then, in December 1978, enter Dale Wheary. The budding young architectural historian from Norfolk had been volunteering at Maymont for just four months when she was hired as the fifth curator. Her annual salary was $8,000. On Jan. 31 of this year, Wheary retired as Maymont's curator and director of historical collections, making her tenure at Maymont considerably longer than the Dooleys' lives there. With 40 years of service, she was among the rarified pantheon of regional cultural leaders who have been with a major organization for such a long run. Among those still on their jobs after four decades are Phil Whiteway, the producing director of Virginia Repertory Theatre, Tom Width, the artistic director at Swift Creek Mill Playhouse, and Richard Woodward, curator of African art at the Virginia Museum of Fine Arts. 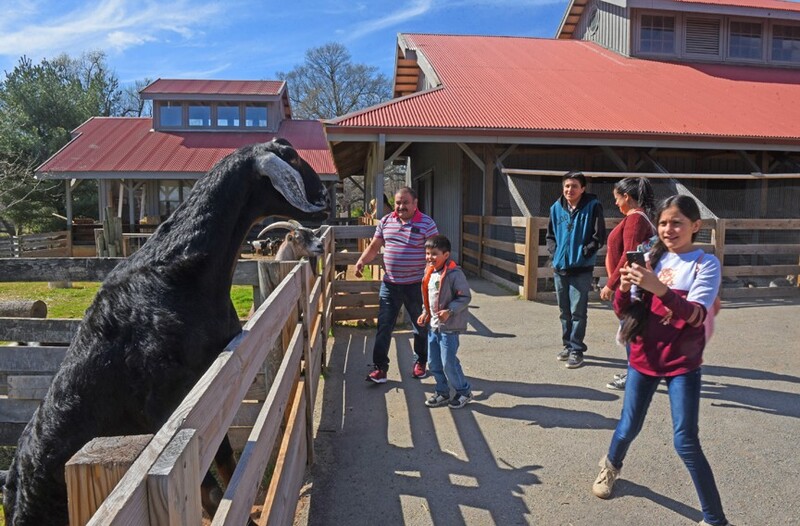 The Children’s Farm is a popular attraction for families. The nearby Robins Nature Center also fosters respect for animals and promotes conservation. Suffice to say that a renaissance of Maymont's mansion occurred during Wheary's unflinching, steady and intelligent watch. In her soft-spoken and measured way, she is quick to credit strong internal institutional support from colleagues, legions of dedicated and often long-serving volunteers, and a collegial relationship with noted and emerging scholars in the fields of architecture, material culture, decorative arts and preservation. But her keen intellect, deep appreciation for Maymont's place in Richmond's post-Civil War history, and her systematic harnessing of the inherent potential of the estate and its house and collections, have allowed the mansion itself to illuminate a brief — and previously understudied — period in Richmond and Southern history. 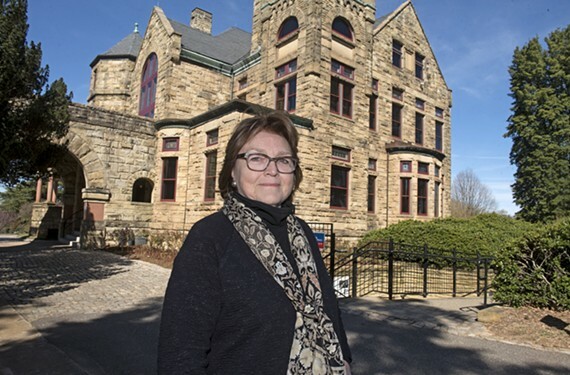 "Dale is a person with a vision," says Elizabeth O'Leary, a historian of the social, racial and aesthetic culture in post-Civil War Richmond who has worked closely with Wheary over the years, "I think of Maymont as the little engine that could. It had all of these extraordinary challenges and no endowment. [At first] they would start each budget year with zero dollars. But it didn't stop them from dreaming, or from Dale keeping that vision going." In a recent conversation, Wheary remembers her first months on the job in the mansion: "Upholstery was tumbling out of chairs and onto the floor; there was treacherous wiring, and extension cords ran in all directions. Children were running all over the house and there were pervasive roof leaks. 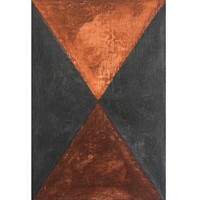 Sadly, the furniture was set about as if it was in a warehouse, and the rooms were dusty, dark and lifeless." But there were also loyal, talented and bright volunteers who serving in numerous capacities. Says Wheary: "On my first weekend Evelyn Pouzou Zak was volunteering as a tour guide. I was impressed by the laughter and applause that echoed through the house during her tour. Then, and now, she is one of the most memorable individuals I've worked with." Undaunted by the task ahead and knowing that there were talents, like Zak, who cared, Wheary appropriated a bathroom on the mansion's third floor for her office and with a single paid assistant, she dug in. Meanwhile in the late 1970s, other parts of the hilly estate and complex park operation were also getting needed attention. Maymont's top leadership was sharply focused on developing the children's farm and Virginia wildlife habitat. Wheary credits many board members, donors and advisors who understood the potential of the house. They included Richmond real estate developer Andy Ashe who was also interested in environmental education. 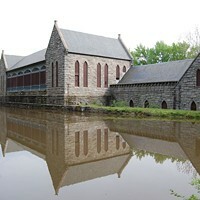 Architect James Glave was involved in the preservation and restoration of the park's buildings. D. Tennant Bryan, publisher of the Richmond Newspapers and Mary Tyler Cheek, a powerhouse civic leader, and her husband, Leslie Cheek, the erudite retired director of the Virginia Museum of Fine Arts, were especially supportive of Wheary's efforts. "The thing about large nonprofit organizations is that you have the opportunity to work with a broad range of people," she says. 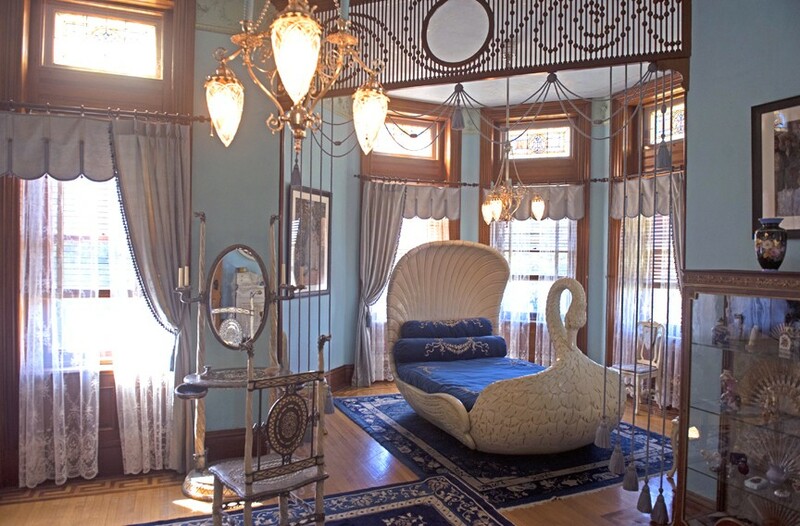 Sallie Dooley’s bedroom is furnished with a swan bed, one of the most intriguing attractions of the interior. It was once housed at the Dooleys’ summer home. "I felt it was my job to develop and promote the Maymont story as an ornamental showplace," Wheary says. "There was a limited understanding of the totality of the site and the mansion deserved to be seen as part of the entire estate. I wanted to make sure the house was accessible to the public so they could see the original character of the place." "Maymont is a piece of Virginia's past, and not Virginia's colonial past," she says, "True, Victoriana was at a low ebb, but it needed to be done, and the house needed an advocate." Wheary understood the importance of interpreting Maymont, the house and people associated with it in the broader context of the American Gilded Age. "Visitors from the North always got this," she says, referring to the storied legacies of such tycoons as Andrew Carnegie, Cornelius Vanderbilt or John D. Rockefeller, but Southerners didn't understand that the economically depressed, post-Civil War South also had its tycoons. Importantly, Wheary embraced the critical mission and job of focusing on collections stewardship. Assembling, conserving and studying the furnishings, books, art and other objects that the Dooleys had assembled, was her major objective. She called on a number of the state's leading experts in the fields of architectural and decorative arts history, and in objects and textile conservation to the cause. These included author Drew Carneal, decorative arts authority Elise Wright, historian and writer Lynn Bayliss and Mary Tyler Cheek. She also engaged Cleo Mullins and Sandy Jensen for early conservation surveys of the collection. And she instituted professional museum policies. "Dale established the standards for maintaining the collections and their proper maintenance. We are still following them," says Calder Loth, chairman of Maymont's historical resources and collections committee, and an architectural historian who was formerly with the Virginia Department of Historic Resources. "There are very important things in the Maymont house collection." The gilded mantel and gold-plated chandelier of the blue drawing room reflect the spirit of 18th-century rococo design. In addition to the collections in place when Wheary began her tenure, more than 100 objects that had filtered out, or pertained to James and Sallie May Dooley, have been acquired or returned to Maymont. And whereas a single dresser drawer once held some correspondence and a few, faded news clippings on Maymont and its story, Wheary established considerable archives. Now, Maymont also collects objects related to another former Dooley estate, Swannanoa, the couple's summer home, atop Afton Mountain. "She has never strayed, she has kept her focus with stubborn tenacity,' says Parke Richeson, Maymont's executive director. "She is an amazing professional who has made a lasting impact on how we do business." 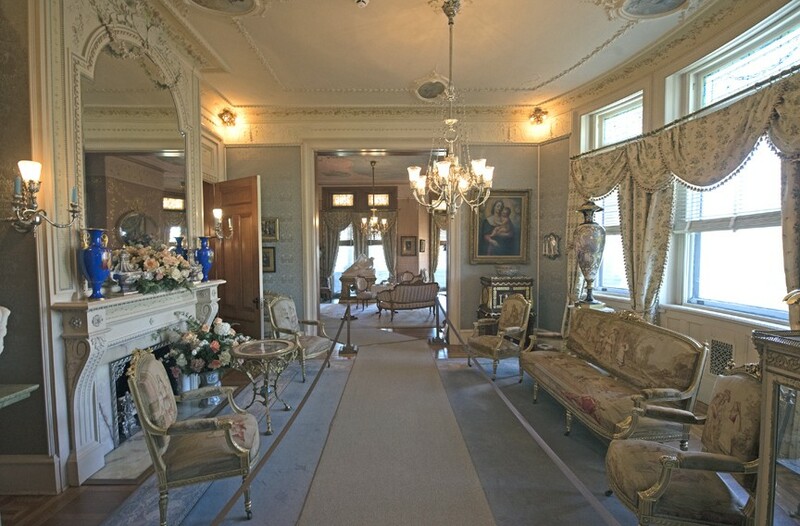 It's not surprising that Wheary took to reviving the Maymont house so readily. She says she spent much of her childhood being driven by various family members exploring old places. "My mother's side of the family were lovers of Virginia history, they doted on Colonial Williamsburg," she says. "We'd drive all over to see the 18th century churches, and seeking out the ruins of other places." Meanwhile, Norfolk itself was undergoing tremendous redevelopment. "I grew up in the heyday of the Norfolk Redevelopment and Housing Authority, and seeing parts of old Norfolk being knocked down by the wrecking ball made a constant impression. I grew up with a preservation instinct." She credits her aunt Edith Bolling for introducing her and her older brother to the charms of Richmond. "We would be motored up to Richmond to visit area museums and visit Miller & Rhoads and Thalhimer department stores." On one such trip, when Wheary she was 6 or 7, her aunt announced, "'I want to take you to a beautiful place, Maymont.' I remember we drove over a bridge over a lake in Byrd Park, and then went to the mansion. In the blue drawing room of the house, my aunt had us look up at a wall tapestry and told us the story of Don Giovanni that was woven into the hanging. We then went out and looked at "The Three Graces," a classical statue near the porte cochere and the Japanese gardens. It was just magical, it was dreamlike." A pergola with granite columns provides an architectural backdrop for the Italian garden. At Old Dominion University Wheary majored in literature and minored in art history. She attended graduate school at the University of Virginia where her master's thesis was on the work of William Morris, the aesthetic and designer of the Victorian era. Afterwards she had taught high school English briefly. Her first museum experience was working at the Hermitage, a country house museum in Norfolk with decorative arts holdings. 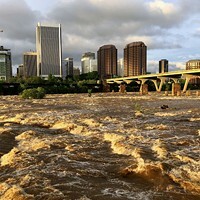 But Richmond beckoned: "Richmond had more of a sense of its history and such wonderful treasures, I wanted to be here. It had been my goal since high school to work in museums and preservation." In the early 1970s, she took notice when the Virginia Museum of Fine Arts presented a major exhibition of art nouveau, and included six or seven pieces from Maymont. The show of works from the turn of the century was a revelation for most museum-goers. Eventually, under Wheary's guidance, the Gilded Age character of Maymont mansion began to come out and to life. Visitors found the aesthetic startlingly different from the dour, colonial hues and blander furnishings with which they had become familiar from experiencing the long reach of Colonial Williamsburg for half a century. 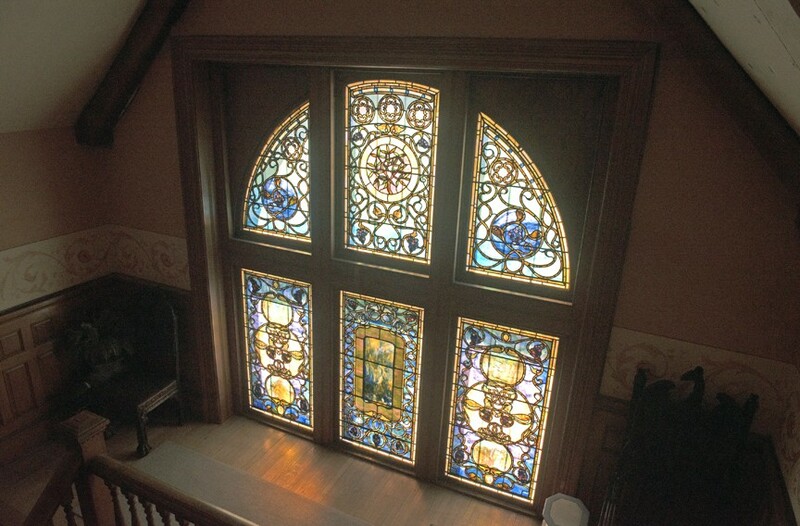 Visitors to Maymont would enter the richly wood paneled, carpeted entrance hall at Maymont and proceed through a series of rooms that provided sensory overload: "Now, by the time they get to the blue parlor, their jaws have dropped," Wheary says. Above the grand staircase from the living hall is a two-part, 15-foot stained glass window by Tiffany Glass and Decorating Co. It was installed in 1892. To fund the studies, the replacement of textiles, the restoration of furniture and smaller objects, Wheary and her team were tireless in applying for some 30 major federal grants, often to the National Endowment for the Arts and the National Endowment for the Humanities to support conservation and preservation. Maymont received most of them. 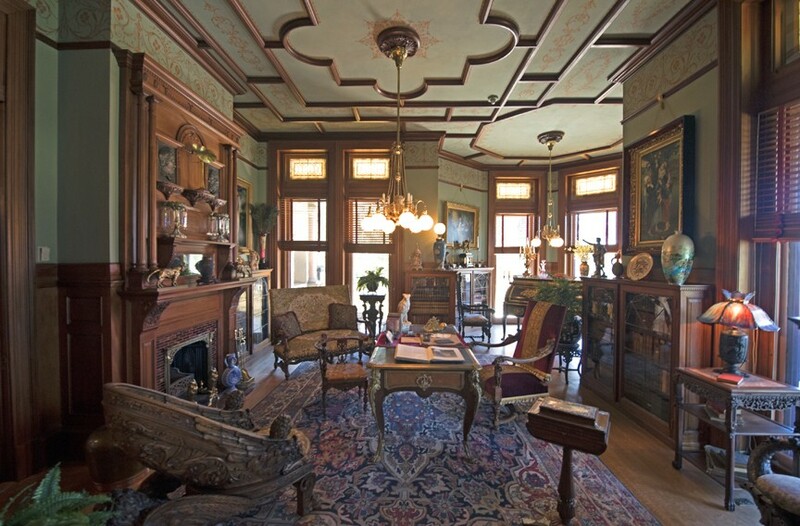 By the 1990s, Wheary undertook what is one of the hallmarks of her time at Maymont, beginning the research and documentation of domestic activity in the houses during the Dooleys' time. This was accompanied an architectural investigation of the 3,000-square-foot basement where the domestics worked, and some lived. This approach was ground-breaking for an American museum at the time, which was often more interested in examining how the 1 per cent lived. Wheary says that she had been a devotee of the seminal British television series, "Upstairs, Downstairs." With the service rooms restored and funding from the National Endowment for the Humanities and Sally Todd, a Richmond philanthropist, Maymont developed an extensive permanent exhibition that interpreted domestic work and the lives of the employees in the Jim Crow South. 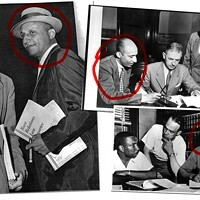 An important aspect of the development of the program was conducting oral interviews with the descendants of those people, largely African-American, who were in the Dooleys' employ. These included spouses, children and grandchildren. By 2005, eight newly restored, mostly downstairs rooms went on public view. After four decades, what has Wheary learned that might be shared with other American house museums, currently a difficult niche to address in the museum and tourism field? First, there has to be a high level of presentation and care. "Seeing plaster falling and dust is dispiriting to visitors," she says, "Realize that there are ways to make places appealing, visitors want to see something that's uplifting." Secondly, they respond to a story. "Context is so important. They might be stepping back in time, but how does that experience fit into the overall history of our country?" And finally, at Maymont the "upstairs, downstairs" approach has worked. "There's not one answer, it is a combination of these things," Wheary says, "You have to put a high emphasis on cultivation of tour guides. And you have to vary the experience, give people options, let them choose their own pace." "We don't want to put things behind Plexiglas. Appreciate the object and the power of place. And the days of 'No photographs allowed' is over. Currently with digital technology, picture taking is not damaging to artifacts. "One has to be careful not to distract fellow visitors, but this is how visitors can tell about the experience to their friends. So let them enjoy themselves, take pictures and share them." 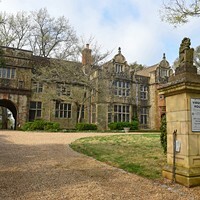 "It would have been easy for Maymont to have remained as it was in the late 1970s, a neglected old house seen as a fusty, local oddity," says Charles Brownell, emeritus professor of art history at Virginia Commonwealth University and an architectural and decorative arts historian who has studied Maymont and its collections, "Dale Wheary has shown everyone that the mansion is, instead, a nationally important treasure house. And she has used inspiring—truly inspiring—professional standards to achieve this." Wheary says her first weeks of retirement have been frustrating and doesn't pretend she doesn't miss her former job. "I once had an office in a tower and a Tiffany window," she says, "I'm trying to convince my husband Herbert to raise the ceilings in our house."